I'm still way behind on blogging, but I've decided to share some new work. This recent session jumped the queue--I kinda couldn't help myself, probably because it celebrates not only an awesome family, but also a neighborhood where I've lived for past 5 years. Little G was unbelievably cute, and I had so much fun spending an early evening with him and his parents in our shared neighborhood (DoBro, as the realtors call it...and probably no one else). This is one of two family photo sessions I recently did here in Downtown Brooklyn, and I'll share the other soon--pretty decent place for a photoshoot, amiright? 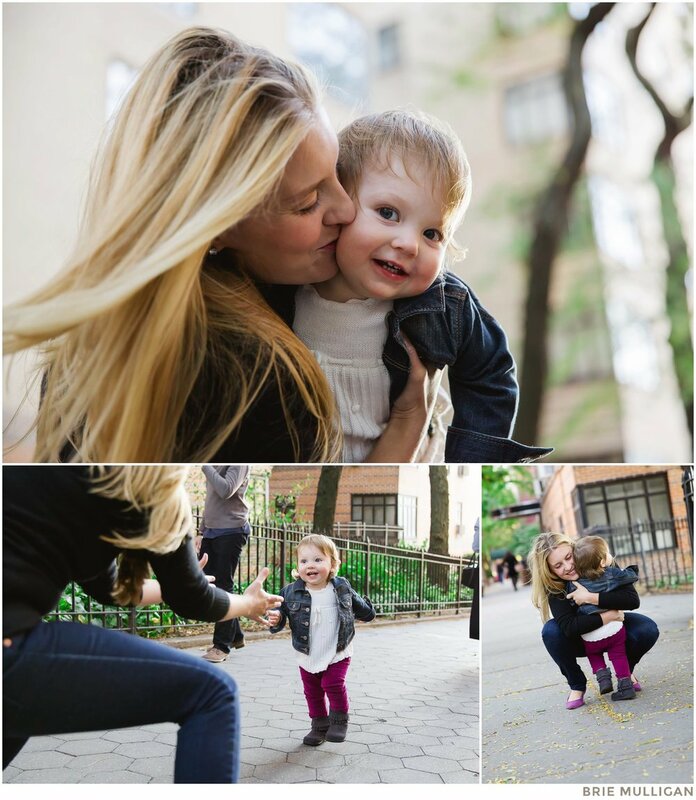 The M family contacted me because they were moving away from Brooklyn, and wanted a lifestyle family session that would commemorate their love for the city (and each other, of course). We made the most of a gorgeous fall day, making our way down the Brooklyn Heights Promenade and wrapping up in Brooklyn Bridge Park. This is the first of many, many sessions I have to catch up on sharing and I wish I could pretend it was more recent, but Brooklyn Bridge Park is ever changing and some of the images might give me away. :) Anyway, it's never too late to share a session this awesome! Leave some likes for the adorable M family.